Neuroscientists at USC have discovered that carbonated drinks set off the same pain sensors in the nasal cavity as mustard, albeit at a lower intensity. 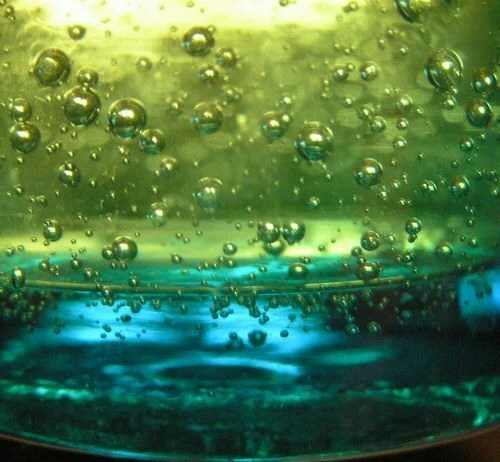 During experimentation, researchers flowed carbonated saline over a dish containing nerve cells taken from the sensory circuits in the nose and mouth. They discovered that the gas activated a specific cell which serve as general pain sensors and expresses the TRPA1 gene. Fizzy beverages light up same pain sensors as mustard and horseradish, a new study shows — so why do we drink them? “Carbonation evokes two distinct sensations. It makes things sour and it also makes them burn. We have all felt that noxious tingling sensation when soda goes down your throat too fast,” said Emily Liman, senior author of a study published online in the Journal of Neuroscience. “What we did not know was which cells and which molecules within those cells are responsible for the painful sensation we experience when we drink a carbonated soda,” said Liman, an associate professor of neurobiology in the USC College of Letters, Arts and Sciences. “The cells that responded to CO2 were the same cells that detect mustard,” Liman said. Mice missing the TRPA1 gene showed “a greatly reduced response” to carbon dioxide, Liman said, while adding the TRPA1 genetic code to CO2-insensitive cells made them responsive to the gas. “Or it may be a macho thing,” she speculated. If only a sip of San Pellegrino were all it took to prove one’s hardiness. The pain-sensing TRPA1 provides only one aspect of carbonation’s sensory experience. In 2009, a group led by Charles Zuker of the University of California, San Diego and Nicholas Ryba of the National Institutes of Health showed that carbonation trips cells in the tongue that convey sourness.